Specimens from Calvert Island beaches, collection numbers PTM 422 (left and right) and PTM 452 (centre) in the UBC Herbarium Algae Database, Images courtesy of Sandra Lindstrom. Search the collection numbers in the database for further details on these specimens, or search this species for additional occurrences. This delicate red alga has a large (to 45 cm long), feathery, intricately-branched gametophyte, pictured above, and a small (to 1 cm long) sporophyte. A close-up photo of each phase is available on the E-Flora species page. More photos of the gametophyte are available in the Bold Systems Database. 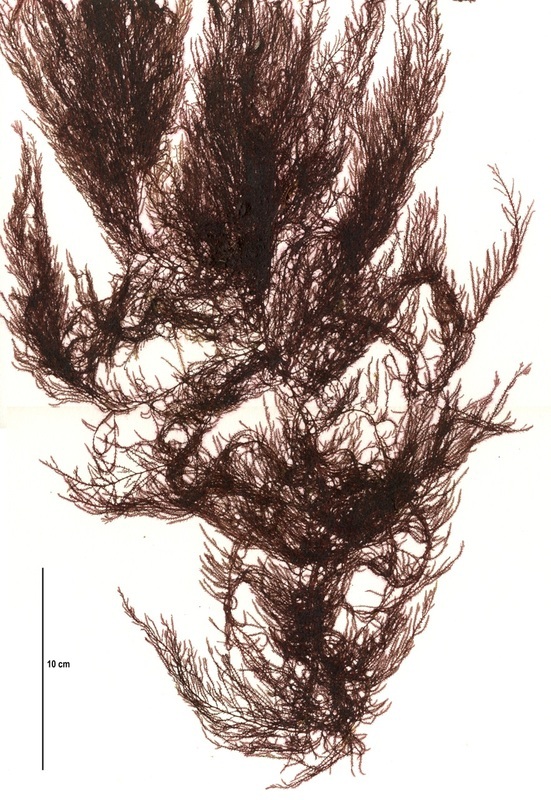 This species was formerly called Bonnemaisonia nootkana, but due to a specimen mix-up on the type herbarium sheet at the British Museum in London a similar red alga (but with a tropical distribution) was assigned that name; the tropical B. nootkana was later renamed as Hypnea nidifica. 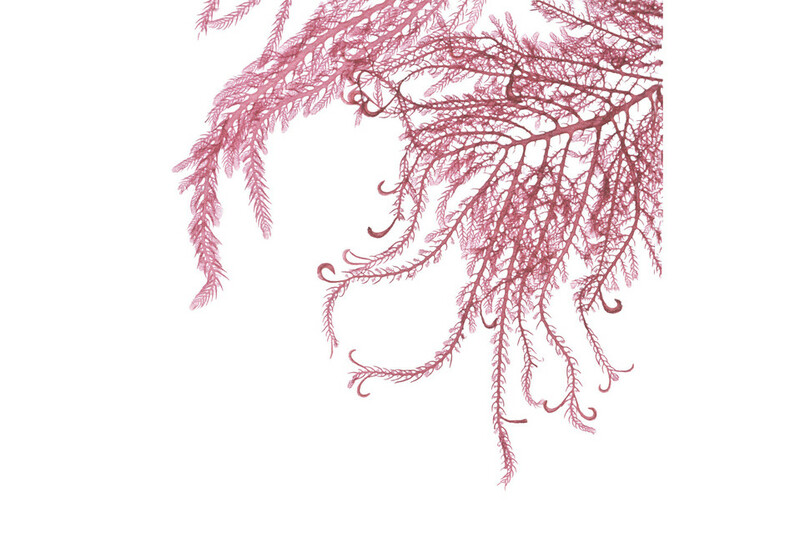 Delicately-branched red seaweed grows in the subtidal to 20 m deep. Its range extends from central Alaska to northern Mexico. Guiry, M.D. & Guiry, G.M. (2015). Bonnemaisonia californica Buffham. AlgaeBase. National University of Ireland, Galway. Accessed 02/04/2015.